Recently, I was talking to someone about a previous article I had posted regarding how angry atheists become while trying to instill some sort of logic in these "numb-minded spiritual Christians". "There is no god, we have proof," and "There is no god, you don't have proof!" And so, the battle continues. Such passionate nonbelievers trying to educate the best they can so that Christians can see for themselves that their faith is just one big fairytale. For me, if something didn't exist and I knew it for a fact while others were worshipping it --- I'd laugh and then chuck it up to insanity. "Leave em' praying to an imaginary friend." End of story. But this goes deeper. These atheists are infuriated by our beliefs. 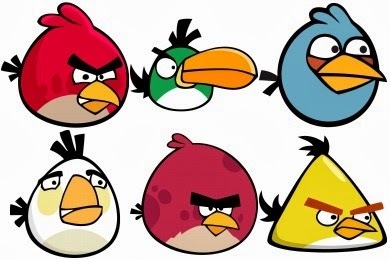 Why get so angry over something that (to you) is nonexistent? Would you tell a psyche ward patient that they're not seeing the little green men in the corner? Would you try explaining the logic to them? You can't. (Yes, I know I'm labeling all Christians and myself as insane, but bear with me here.) I'm trying to understand the level of anger that goes into trying to prove logic to those who have faith that goes beyond just a belief system itself -- to those who would sacrifice their world, for their god. For instance, if a person was standing right in front of me and someone asked me, "Do you believe that this man is right in front of you, or do you believe in God more? Guess what? No amount of logic, even for myself would make me choose the man over God, because God created that man. Sounds crazy, but that's how passionate my faith is. I believe in something - someone - God - the Almighty. These people have zero faith in anything other than what they can see and touch in real life. So let us be crazy. They're still fuming over a lawsuit they pursued to tear down the cross at ground zero. 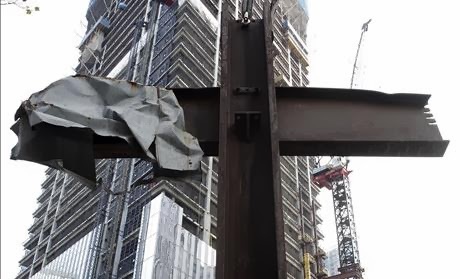 The Ground Zero Cross are two intersecting steel beams found in the wreckage of the World Trade Center. It's a symbol of hope and healing for all those who died or were affected by this awful tragedy. From family members, friends, first responders and those who came just to help out of pure generosity. How dare you get offended over the cross!?!? Ok, so then put your symbol for atheism up - or some sort of symbol of hope for the people who were affected. Don't just sit there on your non believing asses and spew off a bunch of nonsense, crying about two steel beams that mean the world to those who have possibly lost their world in that building. How dare you act like whiny little babies over something that is making others feel better? If other religions are offended, then please, by all means, put up your symbol or put in a flag that demonstrates your faith in whomever you worship. Fact is, this cross was left over after the buildings were torn down. You're so passionate over your non-believing "faith" that you can't even see how much this seemingly simple symbol means to many people. You don't have a heart because you don't have any faith. Life is all but meaningless. We live, we die. Simple, right? But I'm sure, that if you and your family were wounded and under a pile of rubble while your entire city went down in flames, I'm sure you would say "yes" if the Red Cross came to help you. Oh, but wait -- will you refuse the help due to the symbol of the cross? And even though, the "red cross" isn't actually a cross, but four white boxes, I'm sure you'd associate it with Christianity. Who knows -- maybe these angry atheists are making me one angry Christian, but it proves all too well that the amount of respect that goes into anything for atheists are nonexistent. I have noticed in the past, many atheists seek out religious message boards only to tear down those who believe in God. It makes no sense. How can someone spend time trying to prove something they "know" does not exist? It's certainly not to educate their fellow people. Do something productive if you think our religion is "silly". To me, that only proves that they are seeking answers and perhaps, is scared of their final choice of atheism, in fear that there actually may be a God. Why else would they seek us out? They want someone, somewhere to prove to them that God is real. They're afraid they'll make the wrong choice and end up somewhere undesirable in the afterlife. Everyone wants to know about the afterlife and everyone has a fear of dying --- because it's. all. one. big mystery to us. Faith only demonstrates the magnitude and relationship that one can have with their God. Why try to downgrade someone else's faith (and intelligence) just because you're insecure with your own or lack thereof? 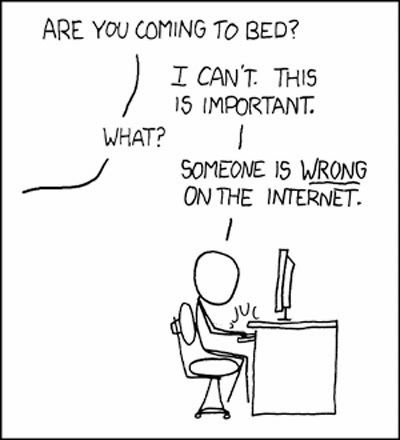 "I am right!" That's their argument. Of course, the argument then resorts to name calling, because well, dem' Christian believers are 'stoopid'. Maybe a little anger management wouldn't hurt. If you found this post to be offensive, please feel free to "X" out, or is that a slick way for me to add a slanted cross in just to fool you subliminally? I'll let you decide. EDIT: Someone responded to this article through Twitter with one of the best answers I have heard yet. Is Nick Cannon a Racist? Is There Ever a Good Time to Lie?